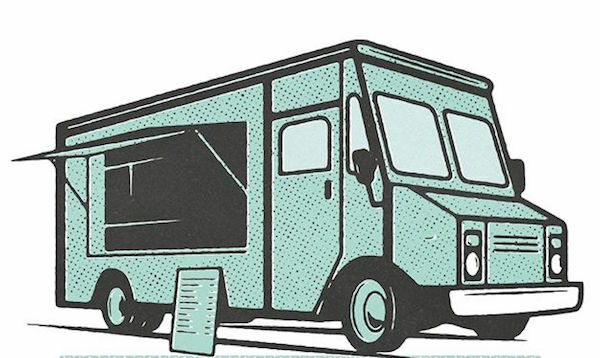 Food Trucks are the hottest trend right now, especially in the Raleigh/Durham area! They are a roving mobile restaurant, gourmet meals on wheels, an epicurean delight – and they have come a long way since the ice cream man or the burger and hotdog carts. Today, there seems to be a food truck for nearly every kind of cuisine, from gourmet cupcakes to locally grown organic produce, to international foods. One has to be creative and try new menu items to keep customers coming back. What would you serve? Many cuisine entrepreneurs start food trucks before opening restaurants due to lower investment costs. Owners have less overhead on a truck, rather than in a building, and a smaller payroll. Plus, they can travel around to see what location sells more of their product. Food truckers can test the market with different menu items each week to see what appeals best to their customers, and they can take advantage of free marketing through social media; when food trucks are invited to events, event sponsors will promote their attendance and menu to draw customers. If you have not had a chance to visit a Food Truck, or taste their delicious fare, below are two opportunities to try a wide variety of different types of food, ranging from sweet treats to southern comfort. This event has free admission, free parking, live music, locally brewed beers for sale, and you can bring your leashed dogs, blankets and chairs. This event has free admission, over 50 food trucks, seating set up along the sidewalks for your enjoyment, but no dogs allowed. If you can’t make it to any of these scheduled events and are in the Raleigh/Durham area, you can always find a food truck serving near you at https://streetfoodfinder.com/.